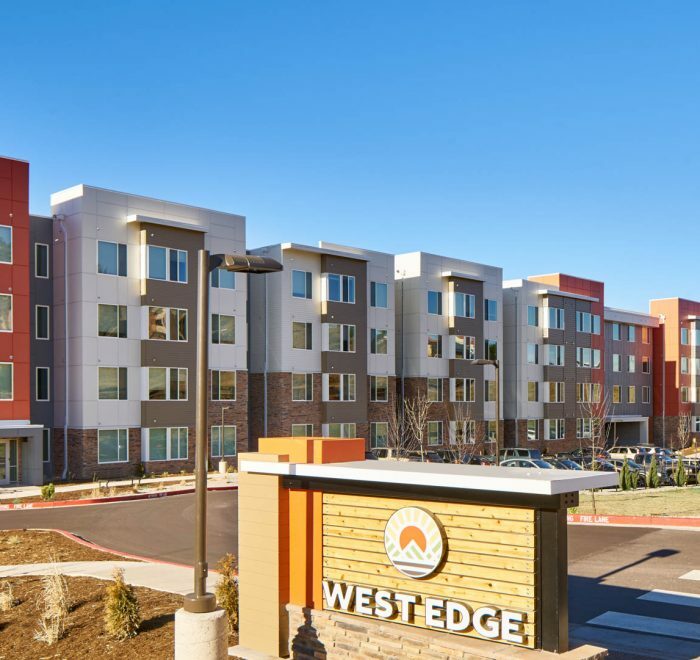 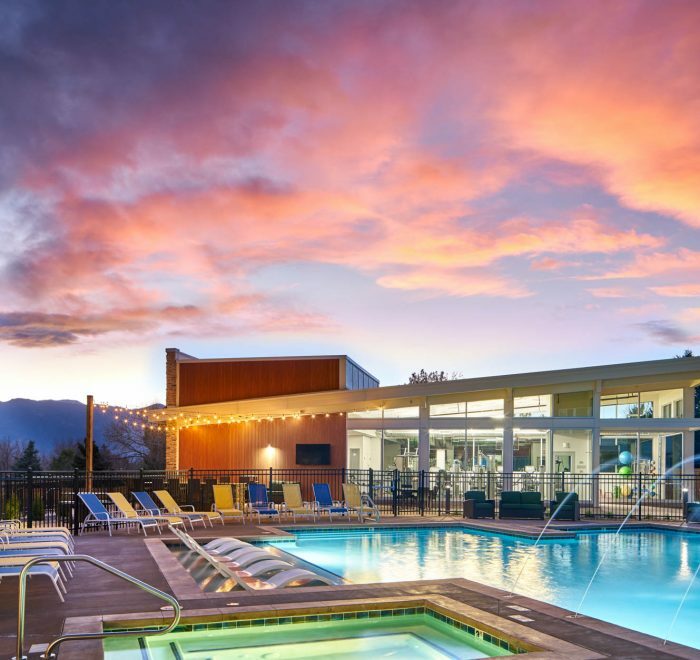 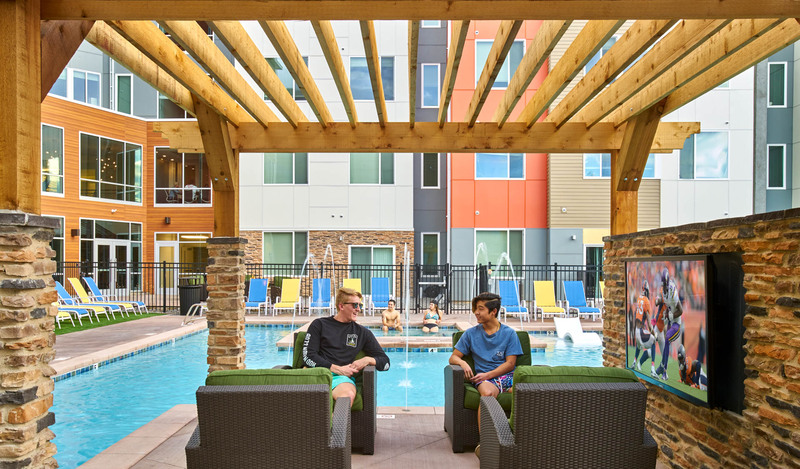 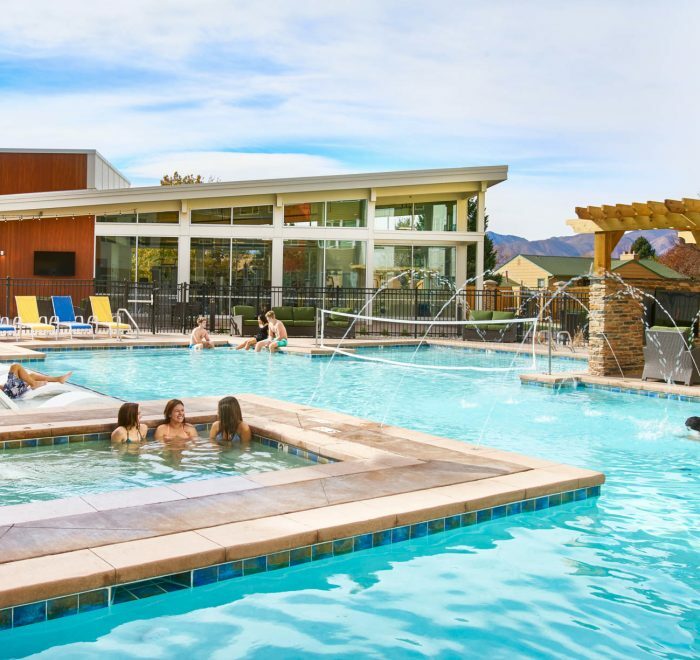 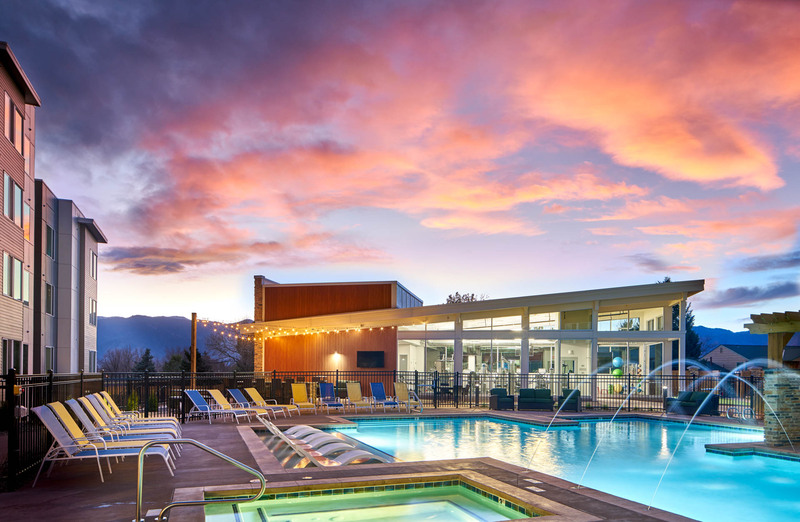 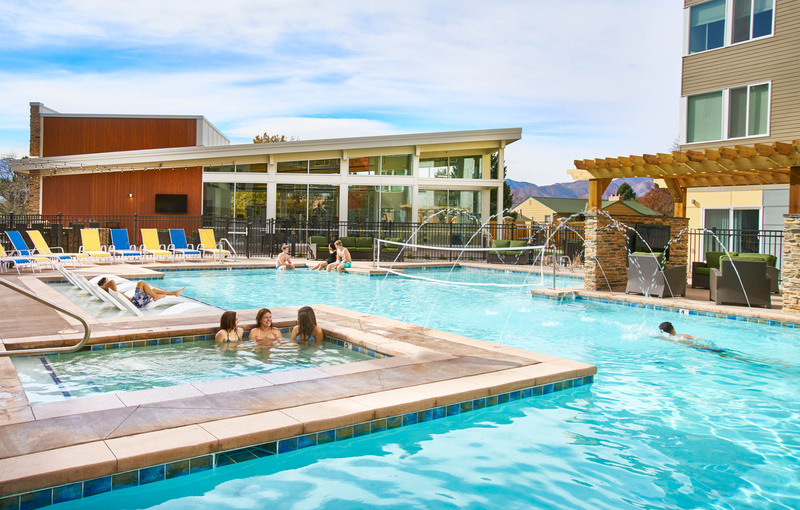 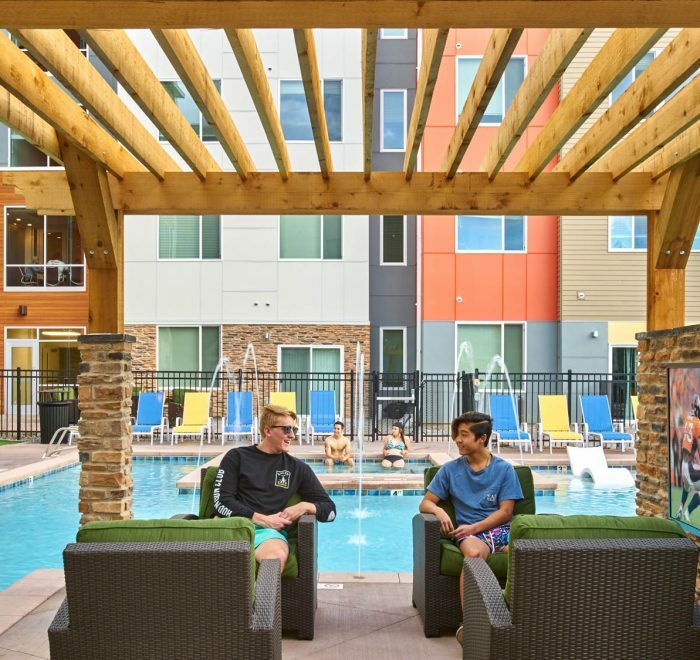 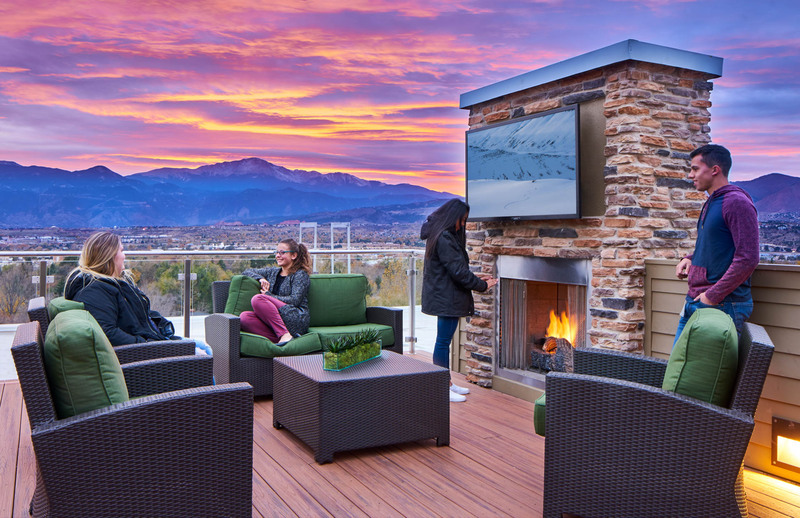 West Edge is a new market-rate student housing community located at 1121 Austin Bluffs Parkway in Colorado Springs, Colorado, directly across the street from the main entrance to the the University of Colorado at Colorado Springs (UCCS). 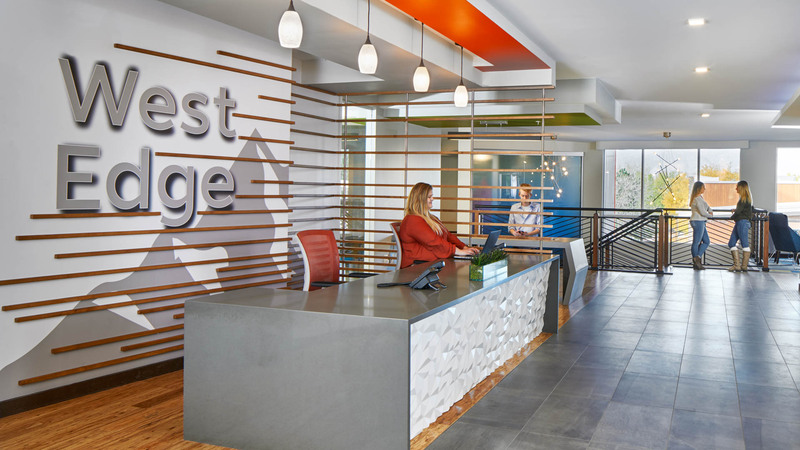 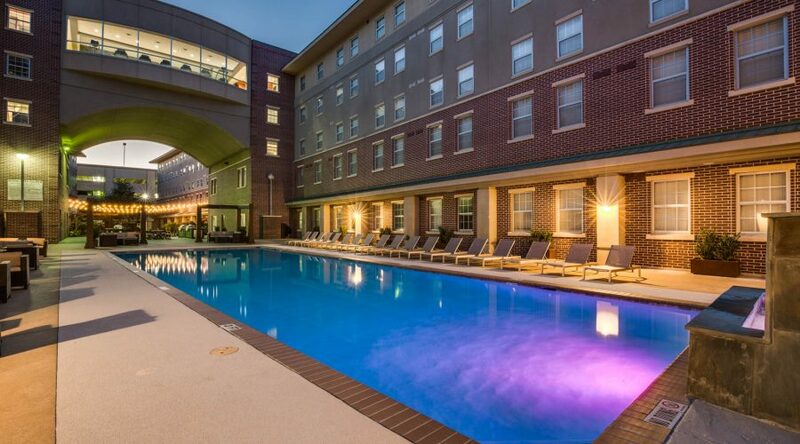 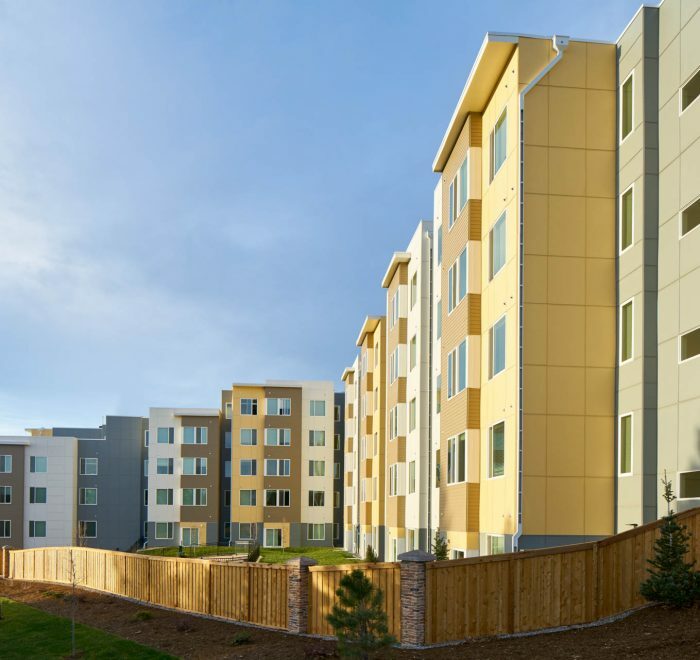 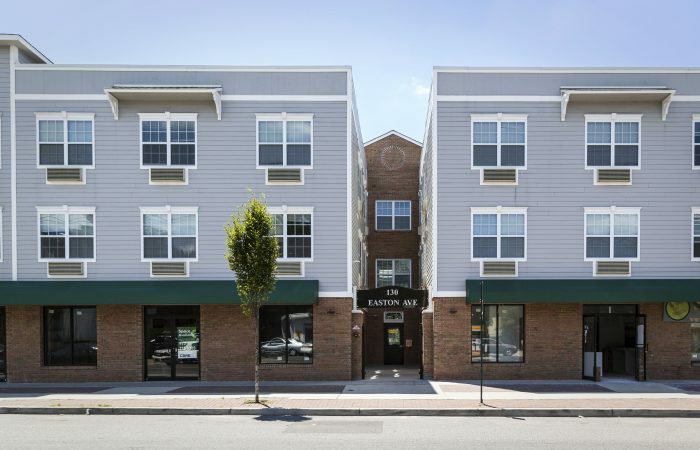 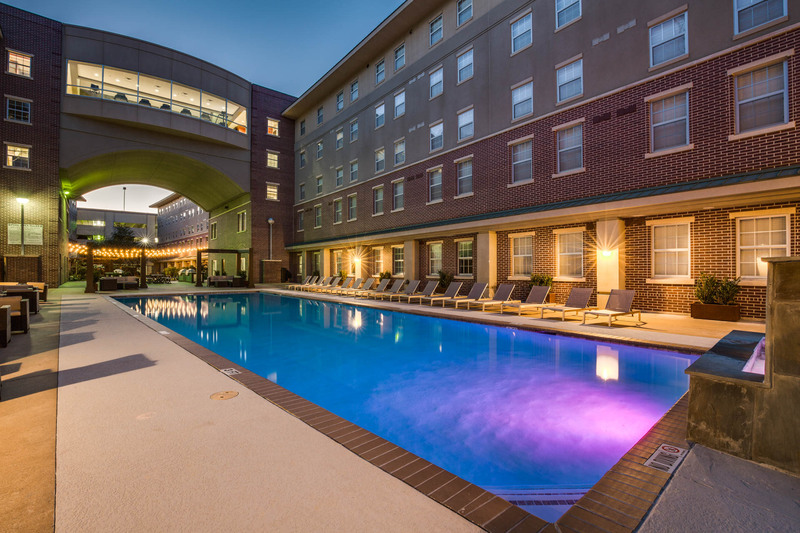 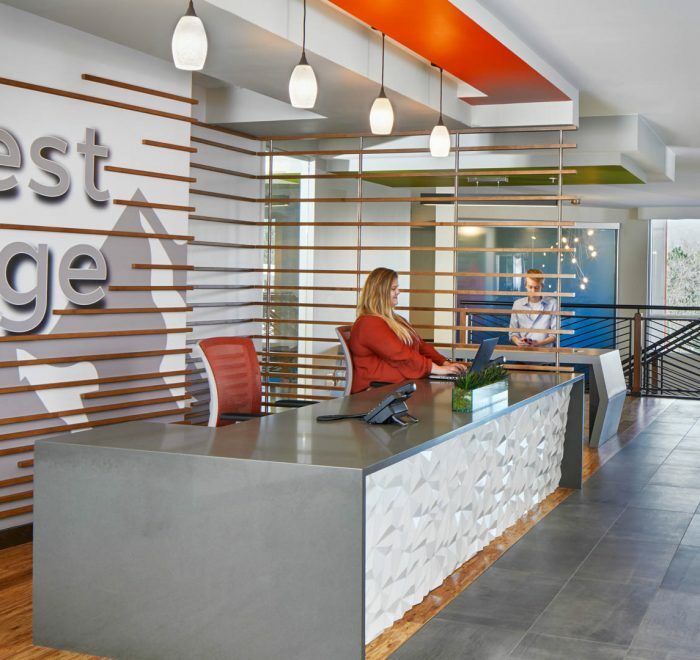 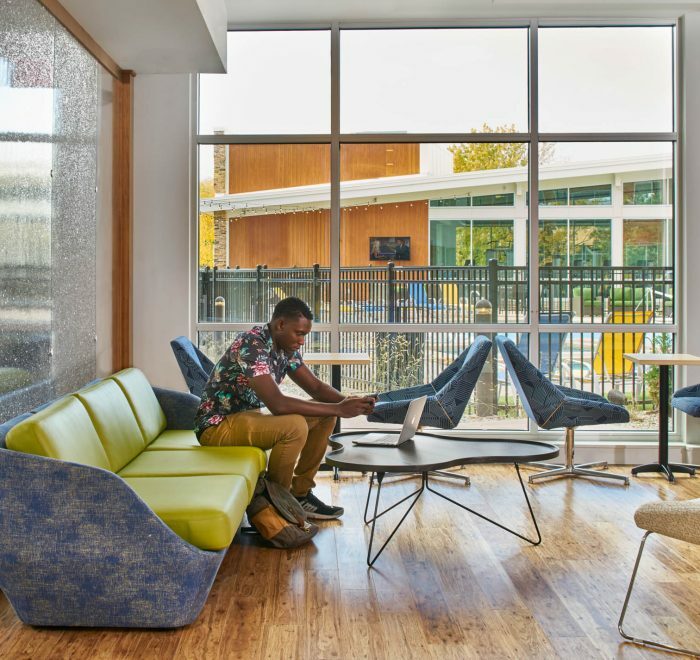 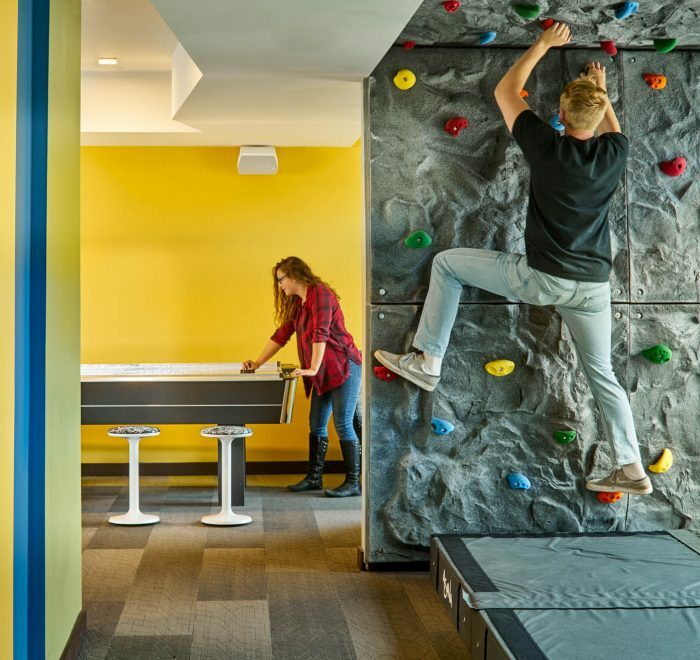 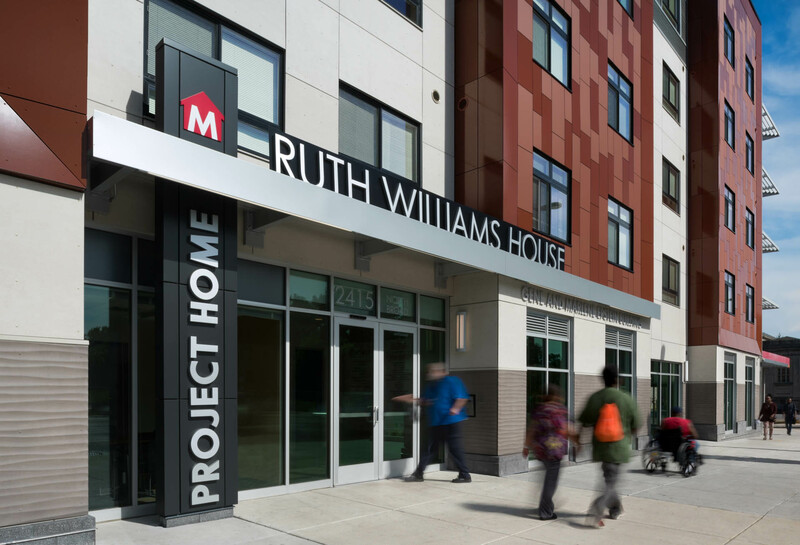 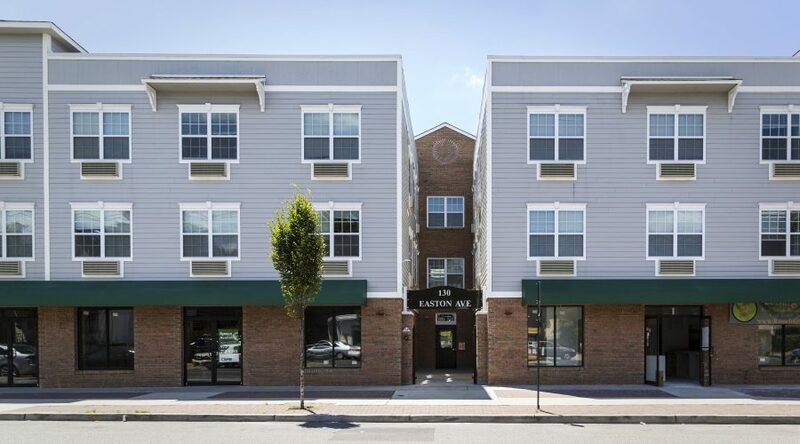 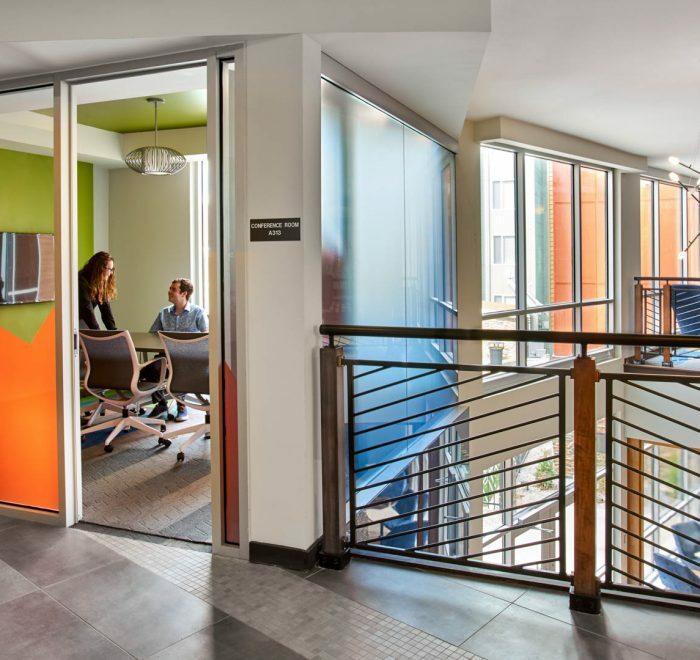 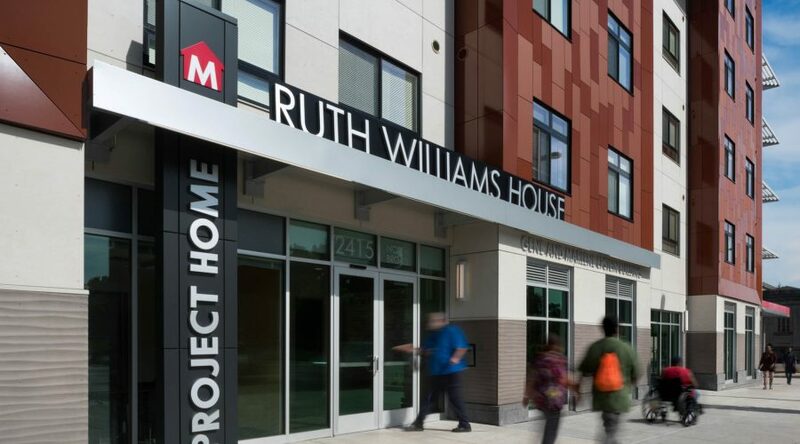 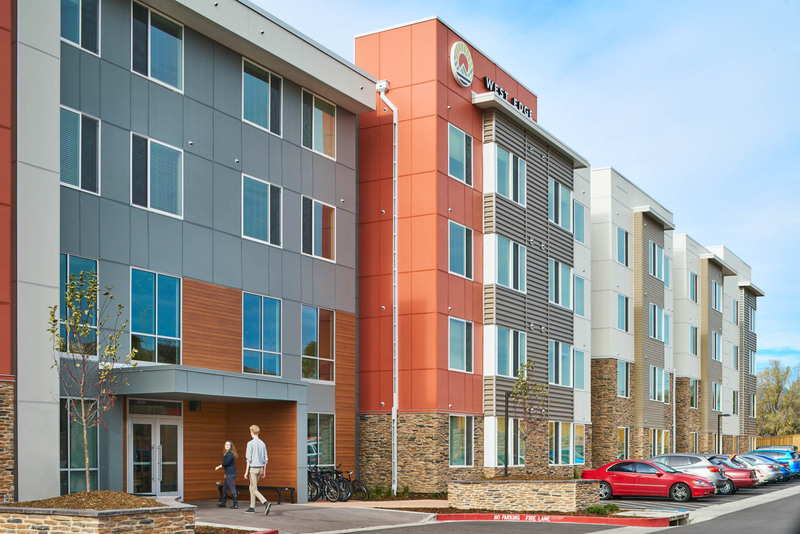 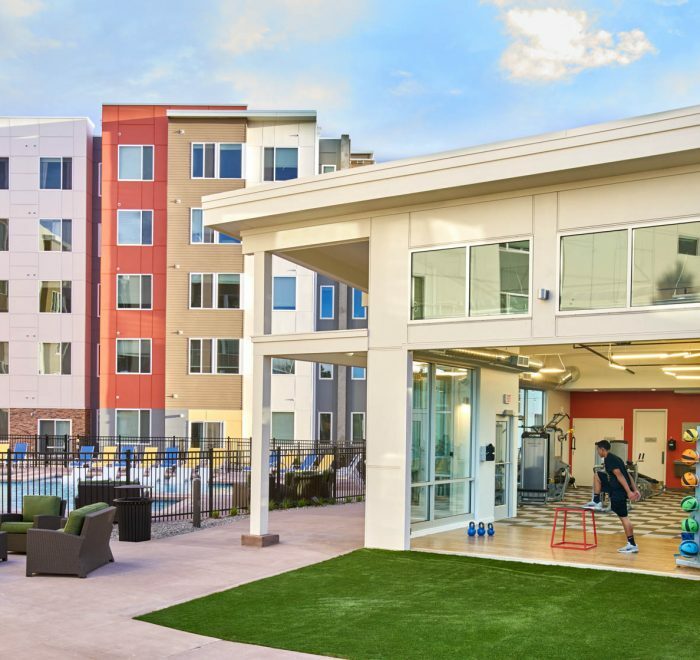 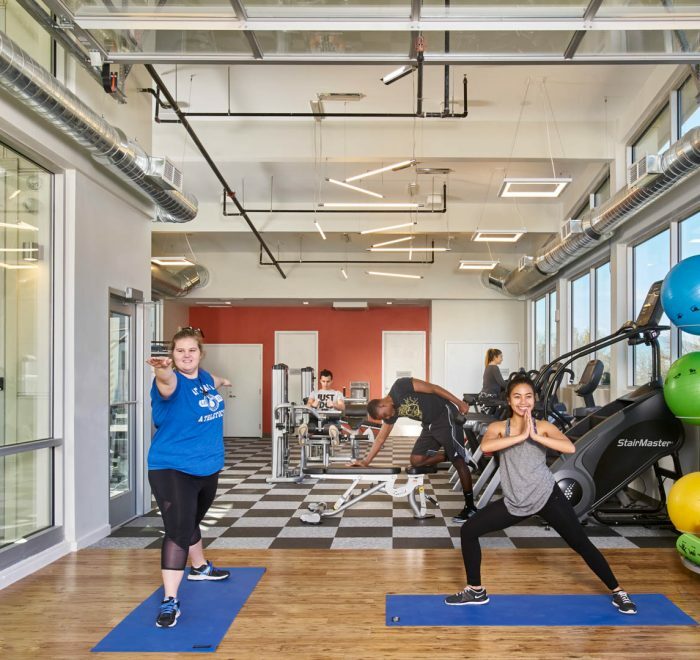 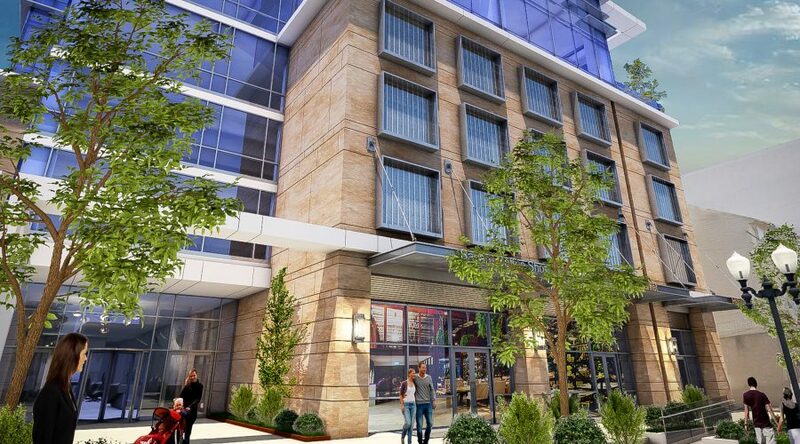 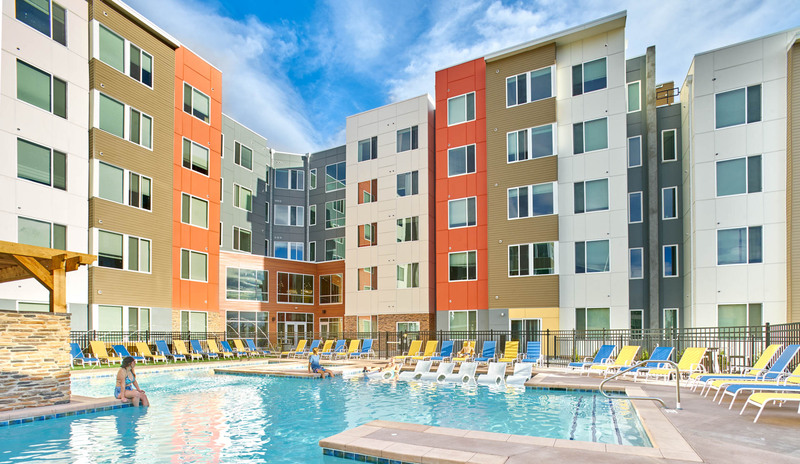 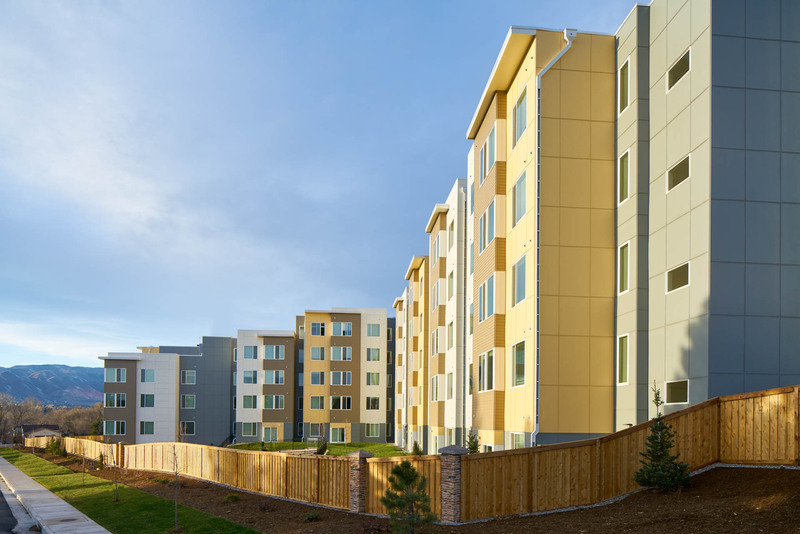 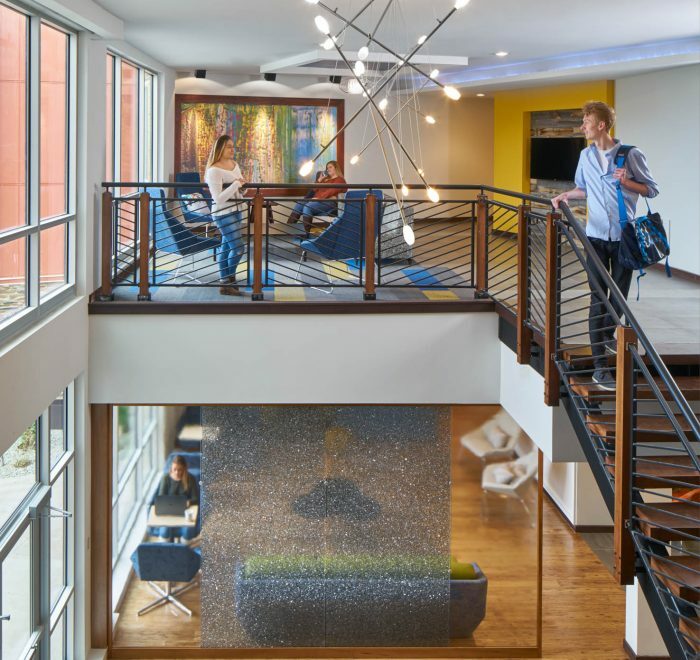 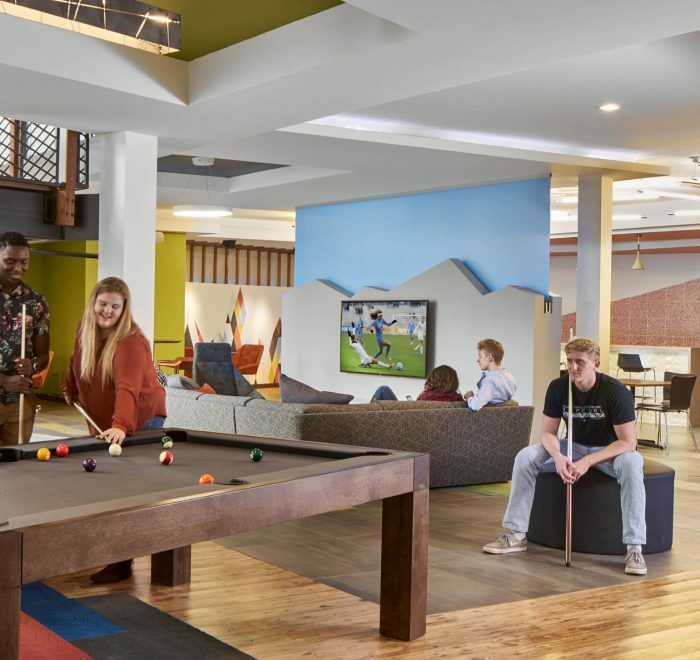 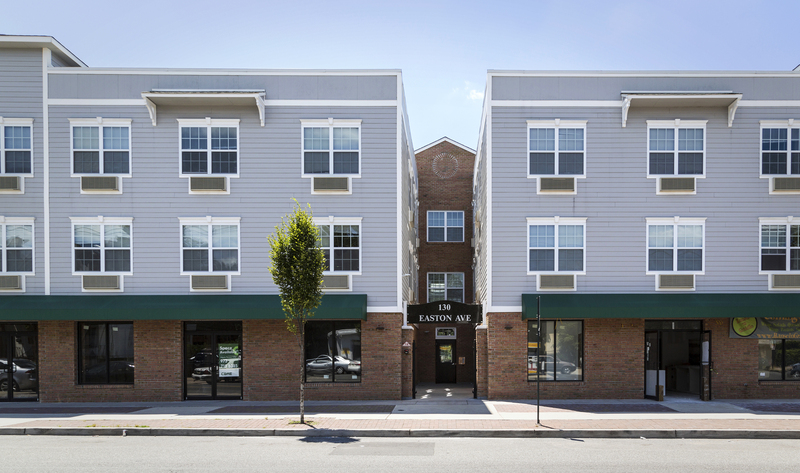 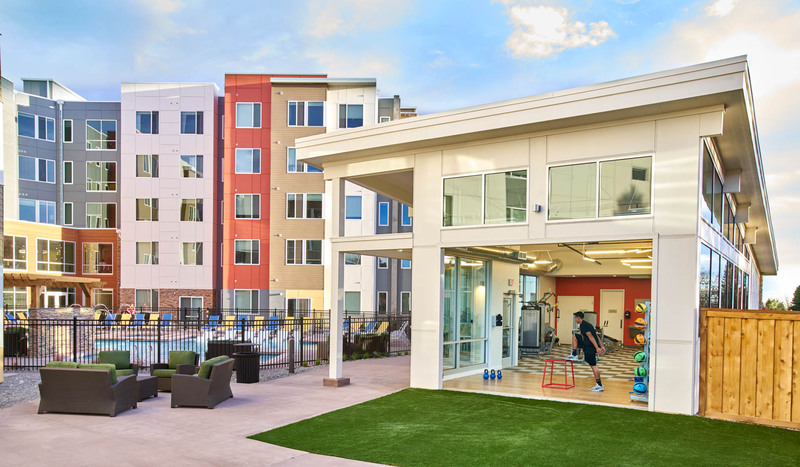 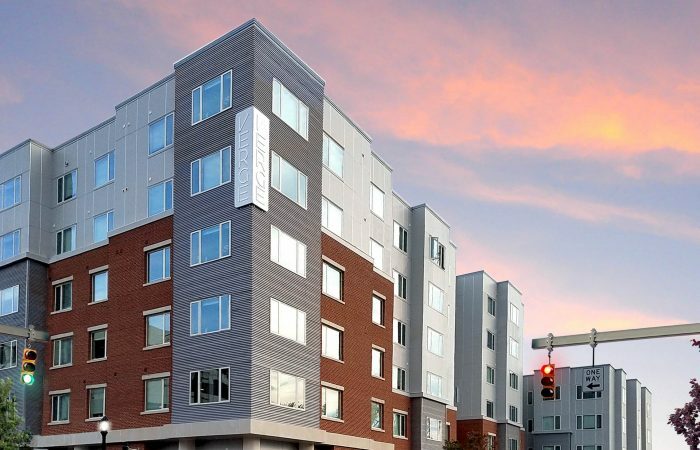 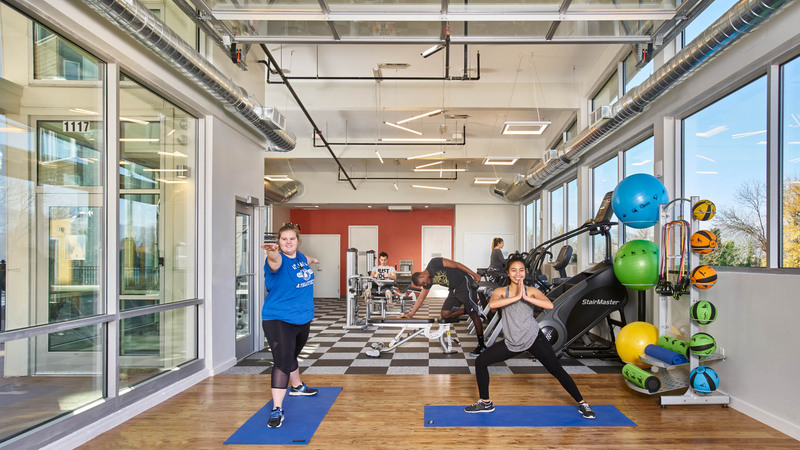 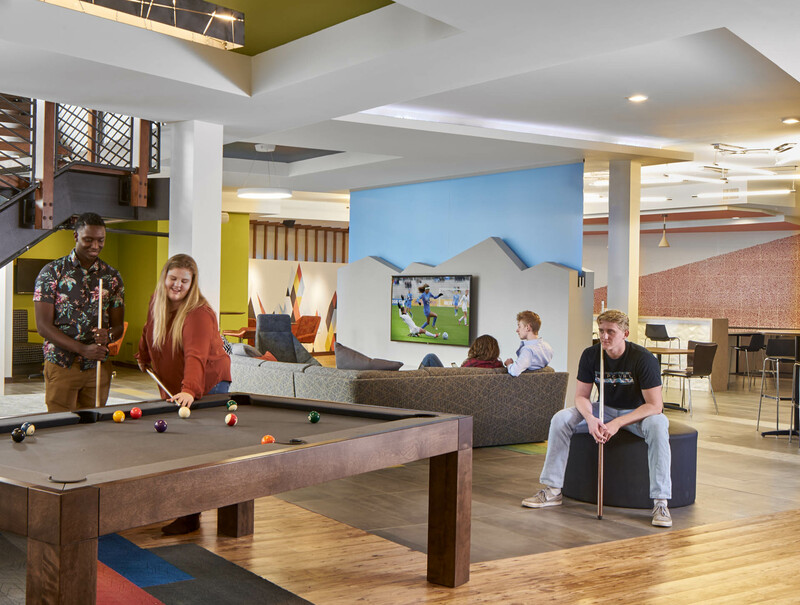 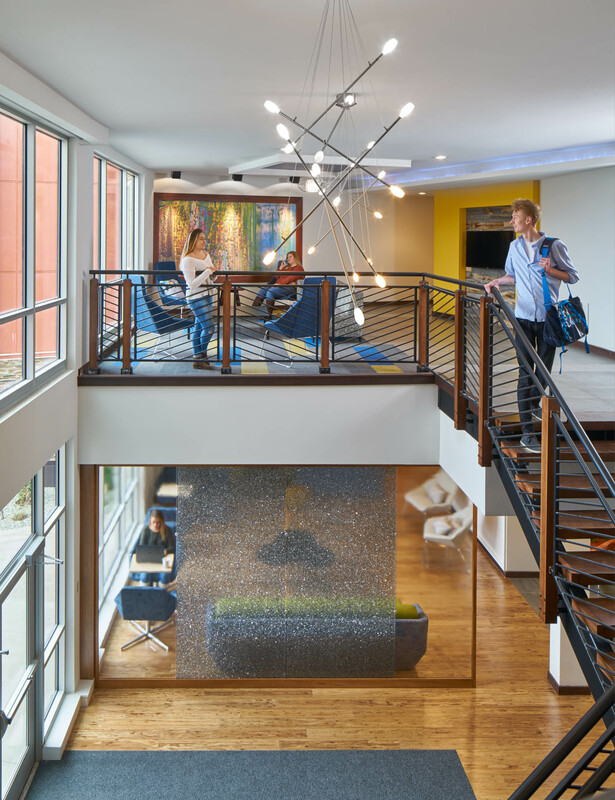 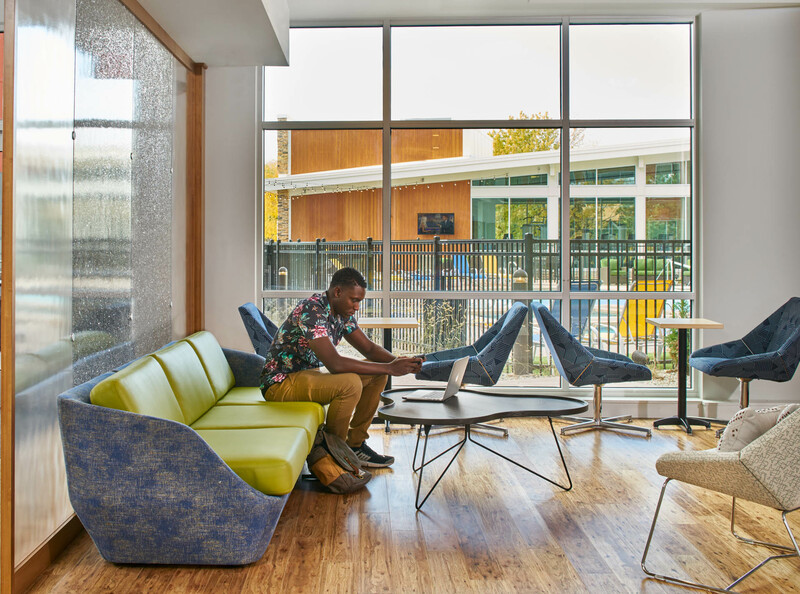 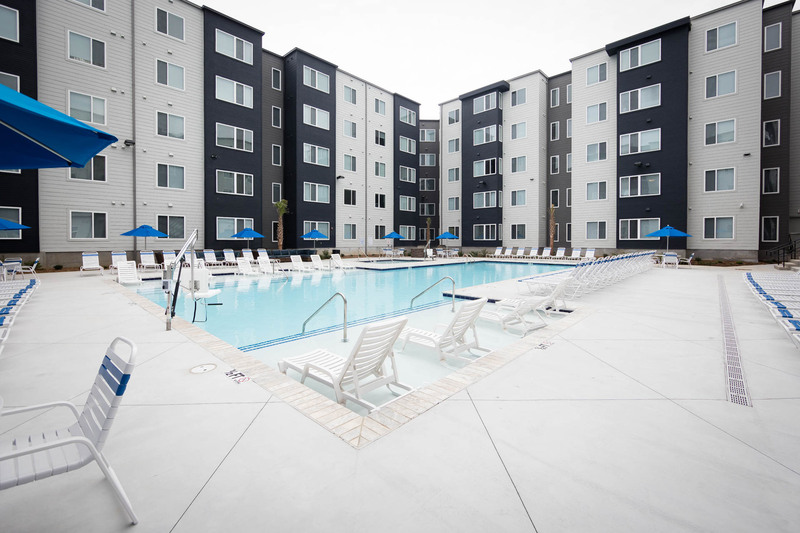 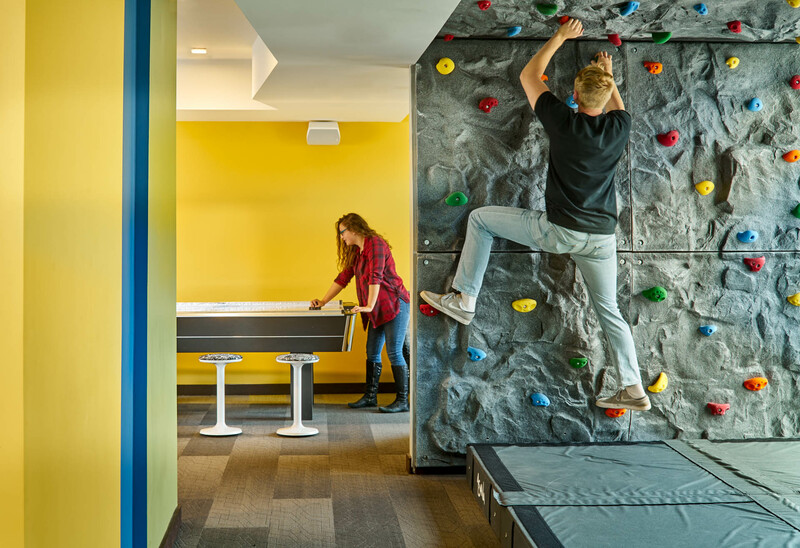 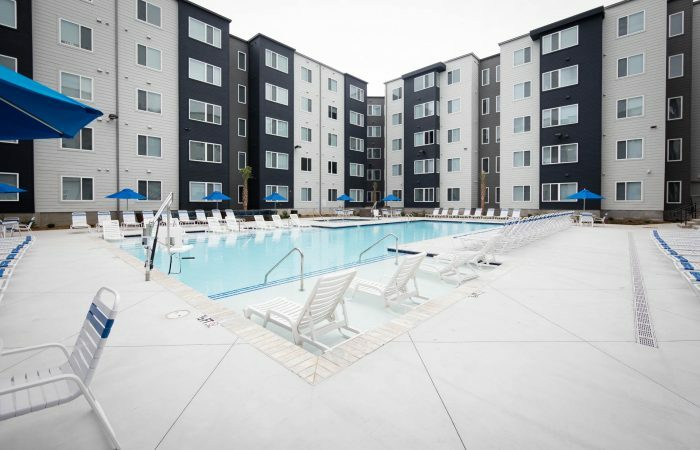 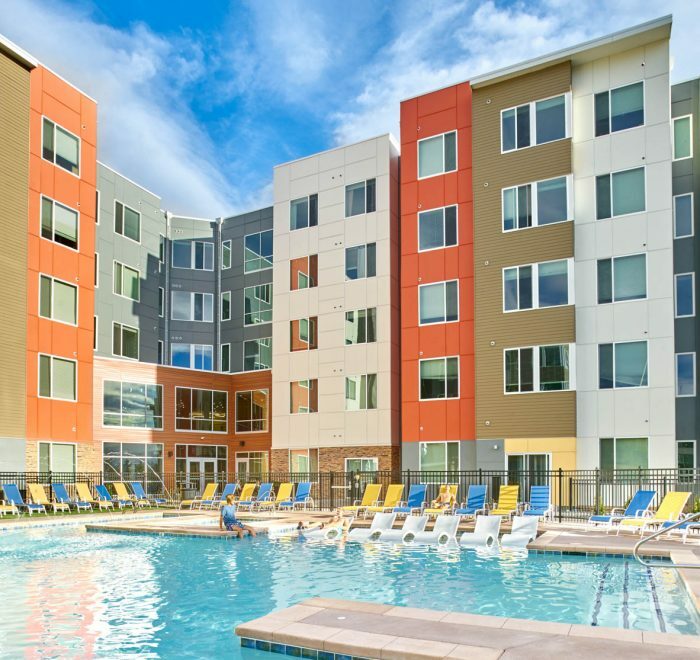 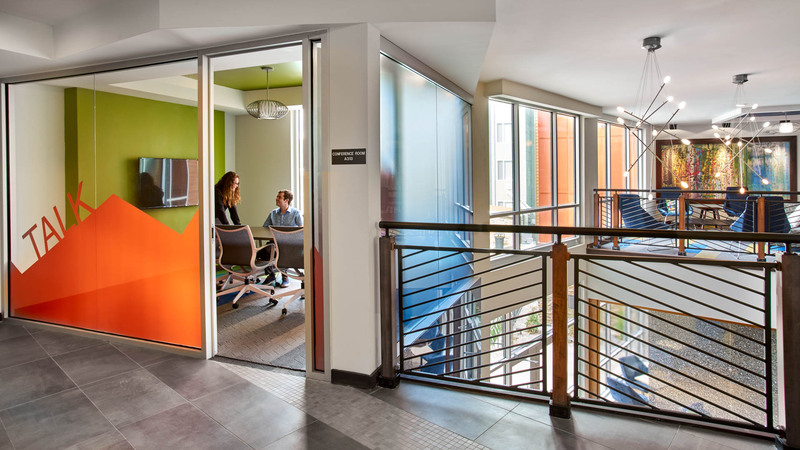 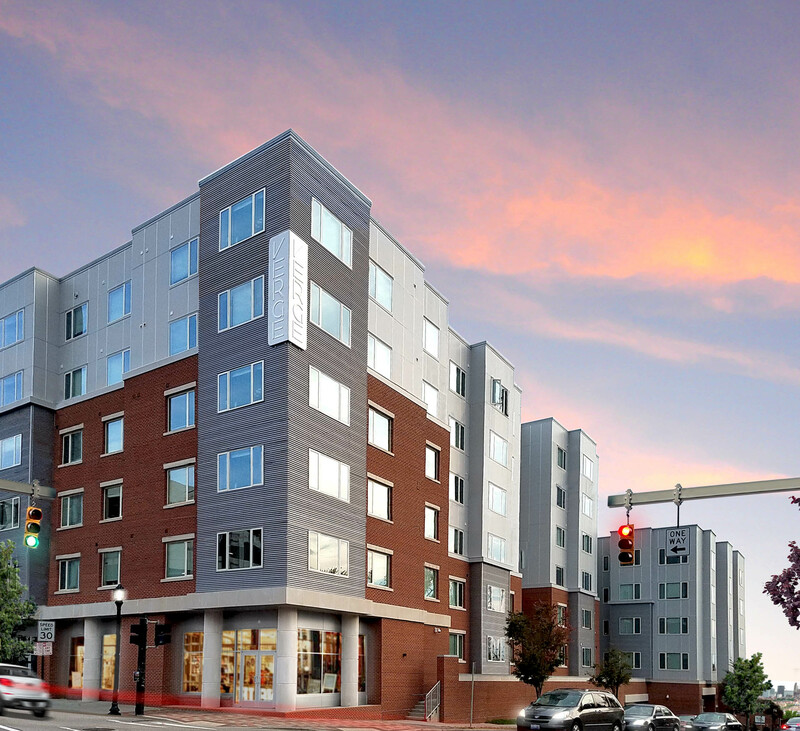 Developed by Gilbane Development Company, West Edge takes a distinctly modern approach to off-campus student housing. 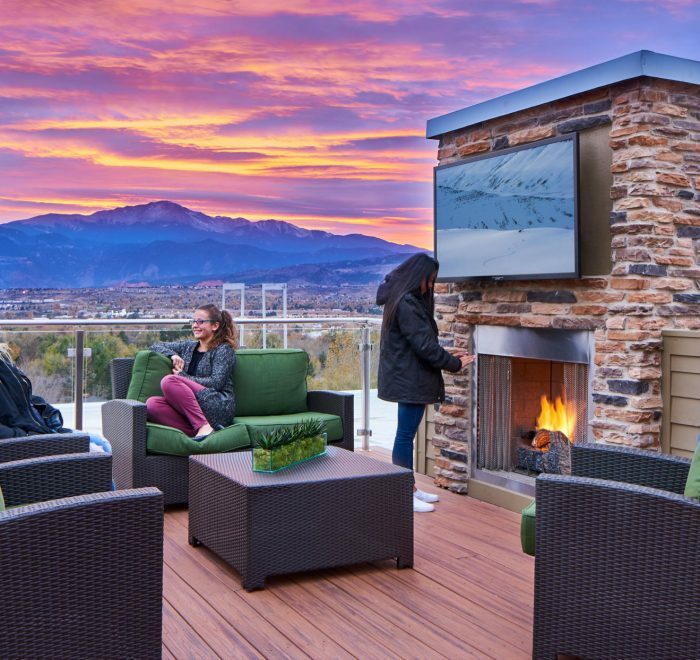 West Edge rises four stories up out of its narrow sloping site along the parkway, integrating comfortably with the landscape due to its well-articulated façade, mix of natural materials, and splashes of color inspired by the earth tones found within the surrounding mountain area. 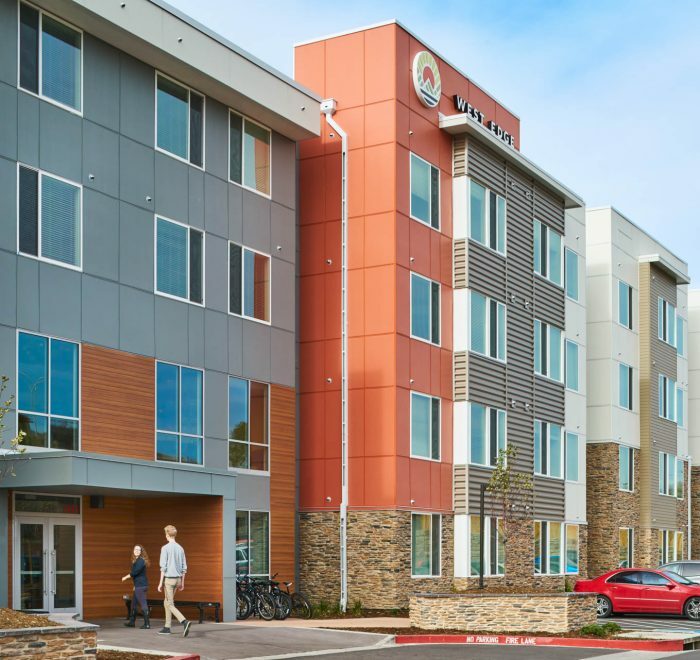 This new multi-story, Type IIIA fire-treated wood construction over concrete slab building represents over 450,000sf of new construction, and boasts 198 units with a total of 620 beds. 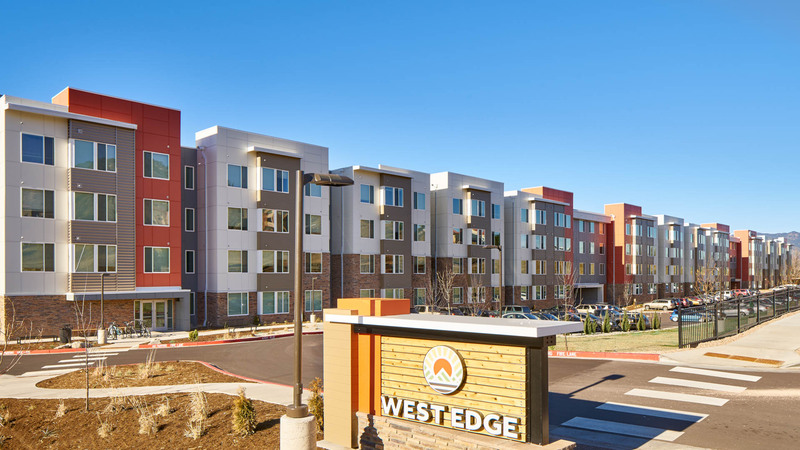 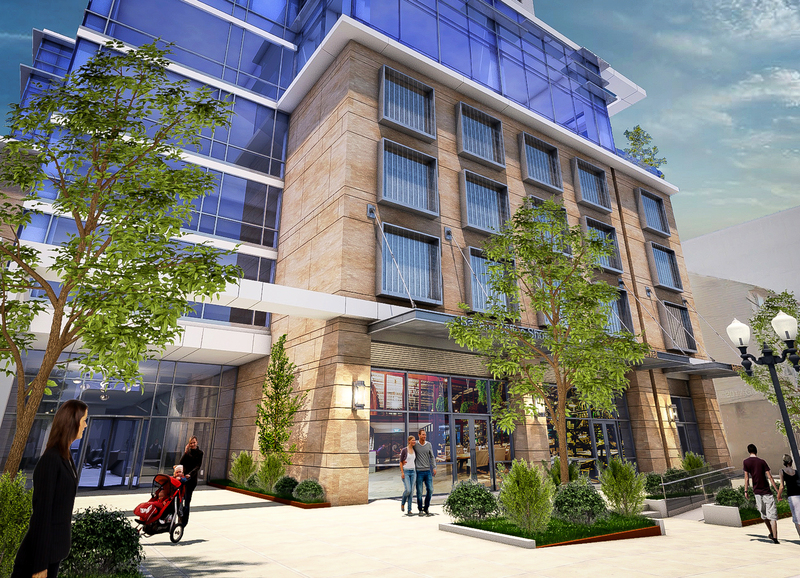 West Edge has a wide array of amenities and supports numerous recreational activities. 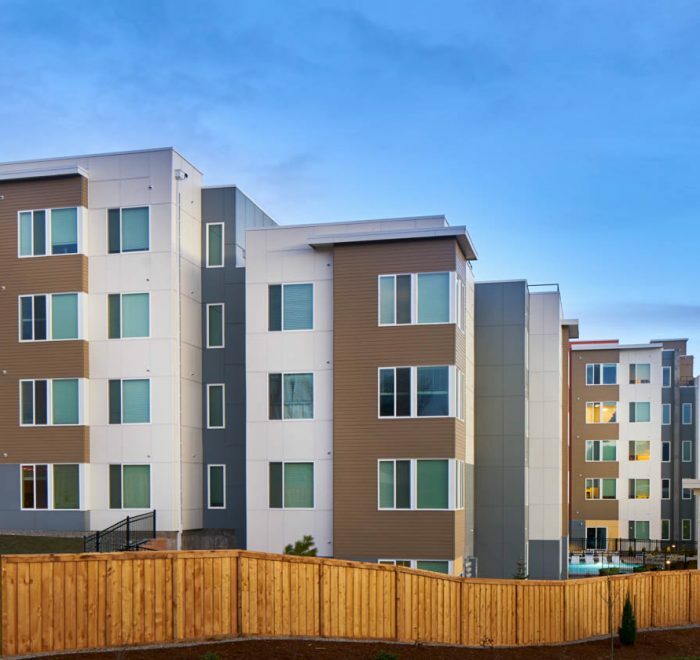 The project received significant attention and quickly generated a waiting list – clear evidence of the development’s quality and overall success.